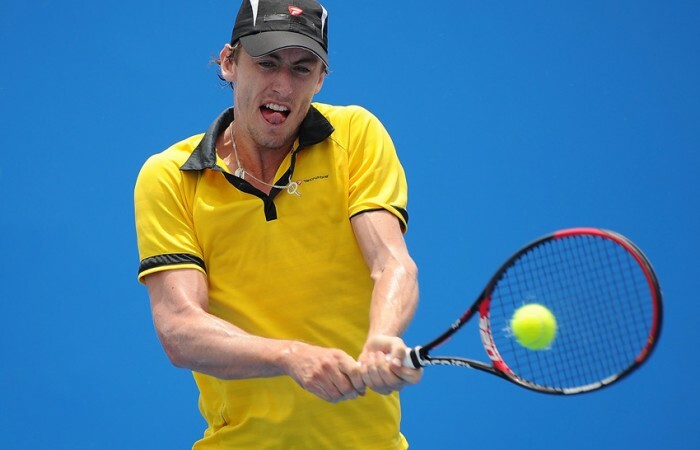 Local John Millman has continued his comeback from a serious shoulder injury to qualify for the main draw of the Brisbane International. With his parents and three of his four sisters cheering from the grass hill outside court 10, the 23 year-old world No.199 outgunned American hopeful Donald Young 6-4 6-2. Millman required major surgery on his shoulder last year following a marathon four-and-a-half-hour match on clay which sidelined him for six months. A mad Liverpool supporter, he had a good feeling this morning after his English club thrashed QPR 3-0. “I’m a mad Liverpool fan. That win inspired me,” Millman said after coming through qualifying for the Brisbane International for the second year running. 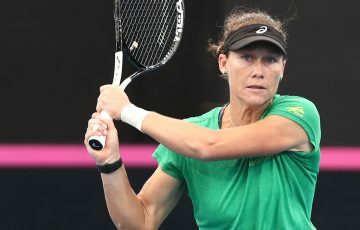 While his first-round opponent was yet to be determined, Millman said he definitely would not be satisfied just making the main draw. “I beat (Alex) Bogomolov yesterday (Sunday) and Donald Young today to get into the tournament – both them in 2012 were top 40 in the world,” he said. “So I think I’ve got to be proud of my efforts. But the way I’m playing, I really can’t be satisfied with just making tournament.